Summary 0000362: Can you please make ironsights on m-series more thin? Description Now ironsight in carry handle variant is very flat, can you make the front part of it less flat? If I understood you properly, you are trying to say that the central stick of the front sight of the M4/M16 family iron sights is too thick? Yep, the central stick is too thick. In real life it looks like central part is the same thickness(or maybe less) as the parts to the left and right of it, in your mod it's twice as thick as parts next to it. btw, it's not only for carryhandle variants versions, but for any iron-sight at ar family in your mod. 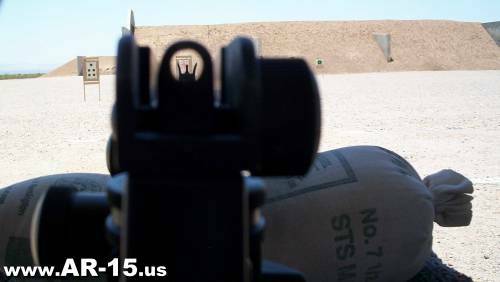 We've asked our personal military advisor to get some pics of his M4 front sight post. We'll try to work to make it more realistic. any progress on it? i've seen many new AR screenshots, wonder if their sights still look like before.